Two bestselling authors first met in a televised Caltech debate on “the future of God,” one an articulate advocate for spirituality, the other a prominent physicist. This remarkable book is the product of that serendipitous encounter and the contentious—but respectful—clash of worldviews that grew along with their friendship. In War of the Worldviews these two great thinkers battle over the cosmos, evolution and life, the human brain, and God, probing the fundamental questions that define the human experience. How did the universe emerge? What is the connection between mind and brain? This extraordinary book will fascinate millions of readers of science and spirituality alike, as well as anyone who has ever asked themselves, What does it mean that I am alive? 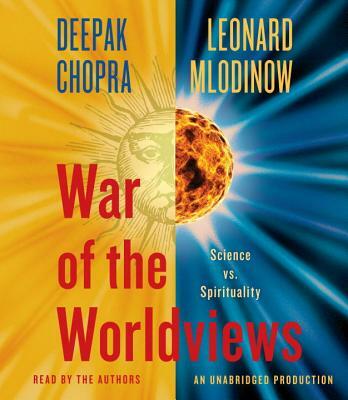 This entry was posted in Books and tagged deepak chopra, leonard mlodinow, science, spirituality. Bookmark the permalink.